David is a Director with StewartBrown specialising in providing services and advice to the aged care and community services businesses with a focus on the not‐for‐profit sector. He manages the StewartBrown Aged Care Financial Performance Survey which collects data and benchmarks the financial performance of residential aged care facilities and home care packages. David has over 30 years of experience in professional practice with a background in audit (internal and external), insolvency and a wide range of consulting assignments to a variety of industries. What interests me in the Lantern project? I am interested in this project from two angles. Primarily as a Board member of a not-for-profit aged care facility I am interested in ensuring that our residents are getting the best and that includes the best nutrition. I am also interested in ensuring that what we do is sustainable so I am interested in this project which, in part, is endeavouring to show that providing good nutrition can be done in a cost effective way by saving costs in other areas. This hypothesis is also of interest to me in the work I do advising clients on their sustainability and profitability. What do I want achieved from this project? Some resources for smaller aged care providers to assist them in changing their food culture. These providers often do not have the resources to research these things and any resources would be very helpful. This might include some practical ways in which they can change their food culture. Some evidence of the cost benefits of good nutrition. This would be a game changer for getting aged care providers to change their food culture. 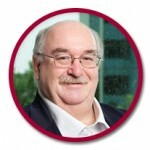 David is a Director with StewartBrown, Chartered Accountants and Aged & Community Care Advisors based in Sydney.